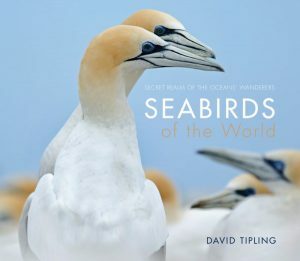 David Tipling has travelled the world’s oceans and visited remote islands across the globe in order to reveal the secret lives of some of earth’ s most enigmatic species of birds. Seabirds of the World celebrates the lives of these remarkable birds, many of which have populations in crisis. Never before has such a large group of birds needed such urgent action to save them from the brink of extinction. 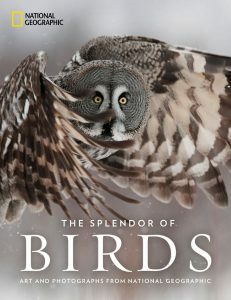 For avian enthusiasts, from armchair observers to dedicated life-listers, this brilliant book from acclaimed National Geographic photographer Joel Sartore celebrates the beauty of all birds, great and small. 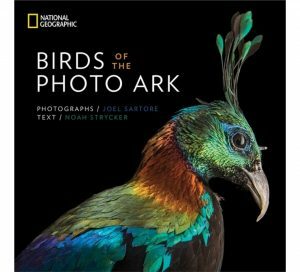 This elegantly packaged celebration of birds from around the world unites incredible animal portraits from Joel Sartore’s distinguished National Geographic Photo Ark project with inspiring text by up-and-coming birder Noah Strycker. It includes hundreds of species, from tiny finches to charismatic eagles; brilliant toucans, intricate birds of paradise, and perennial favourites such as parrots, hummingbirds, and owls also make colourful appearances. From the barely-visible wings of the flightless kiwi to the immense wingspan of the wandering albatross, New Zealand’s fragile island ecosystem is home to a diverse array of spectacular birds. 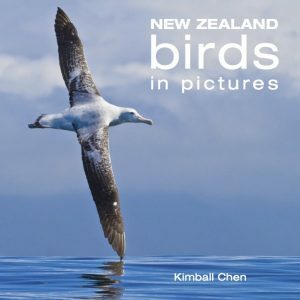 Delve into the fascinating world of our feathered friends with author and wildlife photographer Kimball Chen. From intimate portraits of endangered creatures and their glamorous breeding plumage, to dramatic wide-angle birdscapes encompassing rugged sub-antarctic habitats, to magical fleeting encounters of birds courting and mating and hatching, Chen’s passion for nature shines with artistic and aesthetic photographs sure to pique a greater appreciation of New Zealand birds. 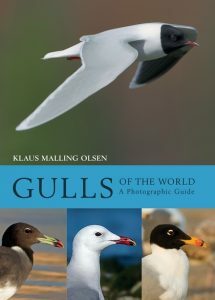 This book represents the definitive photographic guide to gulls, by the world’s greatest authority on gull identification, Klaus Malling Olsen. This outstanding new guide covers all of the world’s gull species, tackling some of the most notoriously difficult identification and taxonomic challenges in birding. Concise text – complemented by an accurate colour range map – places particular emphasis on field identification, with detailed discussion of variation, and coverage of habitat, status and distribution. Each photograph has been carefully selected to highlight identification criteria and, crucially, to allow age and subspecific separation in the field. This book is an invaluable tool for identifying gulls, featuring the most sought-after rarities as well as beautiful, easy-to-identify species. 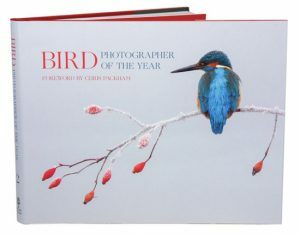 This beautiful book accompanies the photographic competition celebrating some of the best bird photography of the year. 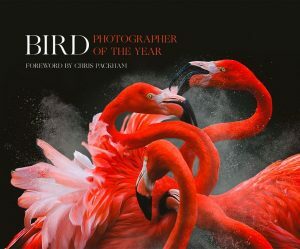 The Bird Photographer of the Year competition celebrates the artistry of bird photography, and this large-format book is lavishly illustrated to reflect this. A celebration of avian beauty and diversity, it is a tribute to both the dedication and passion of the photographers as well as a reflection of the quality of today’s modern digital imaging systems. The book includes the winning and short-listed images from the competition, now in its second year, showcasing some of the finest bird photography, with a foreword by BTO President and head judge, Chris Packham. 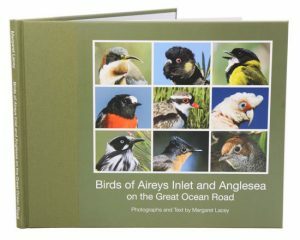 A proportion of the profits from the book goes directly to the BTO to support their conservation work. The advent of digital technology has revolutionised photography in recent years, and the book brings to life some of the most stunning bird photography currently on offer. 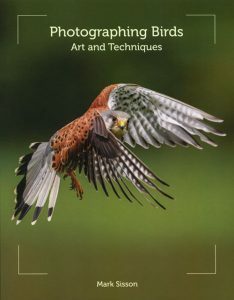 It features a vast variety of photographs by hardened pros, keen amateurs and hobbyists alike, reflecting the huge diversity of bird enthusiasts and nature lovers which is so important in ensuring their conservation and survival. Photographing birds in your backyard is a convenient, rewarding, and addictive adventure. This book is a guide to that pursuit. In this book, author and wildlife photographer J. Chris Hansen teaches techniques for creating professional-quality images of the subjects right in your yard. 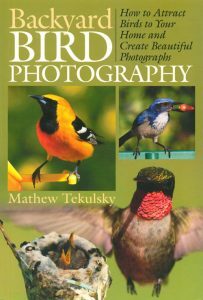 This book covers all aspects of backyard bird photography, including the best camera equipment to use and the basics of attracting birds using bird feeders, perches, backgrounds, and photo blinds. You’ll learn about the common camera settings and composition styles used to create outstanding backyard bird images. This book also offers ideas and examples of ways to exhibit your photography, including step-by-step instructions for a variety of fun, easy projects for the do-it-yourselfer. 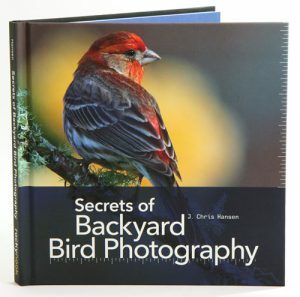 Secrets of Backyard Bird Photography contains a collection of beautiful, detailed images that illustrate the important aspects of creating stunning photographs of the birds right in your backyard. Birds are one of the most challenging animals to photograph, and bird photography can test even modern high-specification cameras to their limits. This practical book guides you through both how to understand your camera and how to develop your own style and approach. With technical, practical and creative insights throughout, it also emphasises the importance of fieldcraft and understanding your subject.